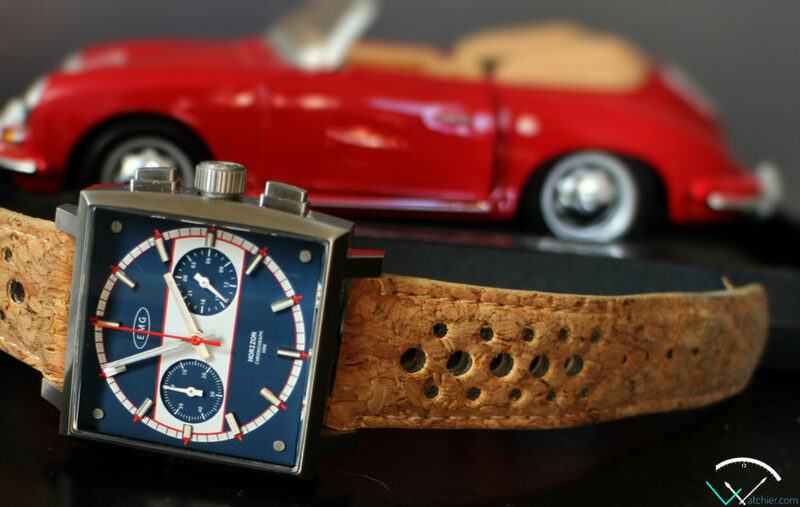 EMG watches was formed after Derek and Eric, two watches’ enthusiasts met on the affordable section under watchuseek [F71]; they share the same passion for watches specially for mechanical chronos; they had an idea to produce a classic style panda, so they reached out to Ed to use his trusty 1963 case, that he used to produce with Thomas for so many years; then Ed became an equal partner. 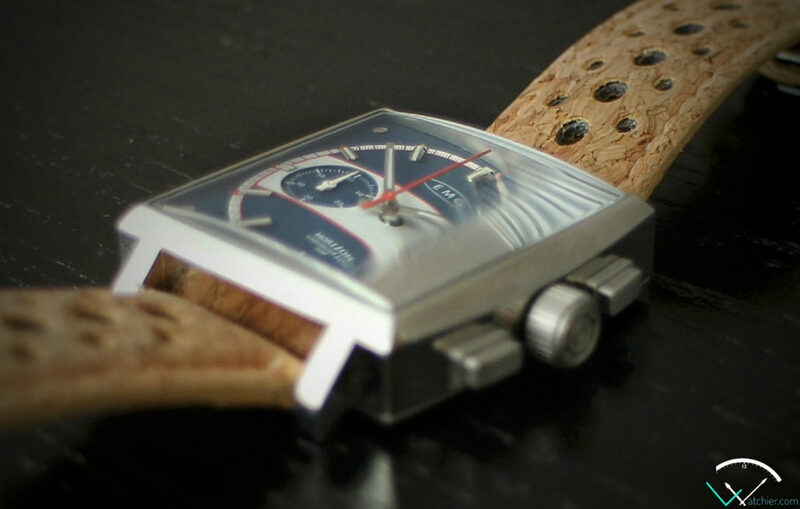 EMG’s first release was the DL63 which was a great success, they really had a home run with that watch, offering a classic mechanical chronograph in a modern case, with some unique design hues. 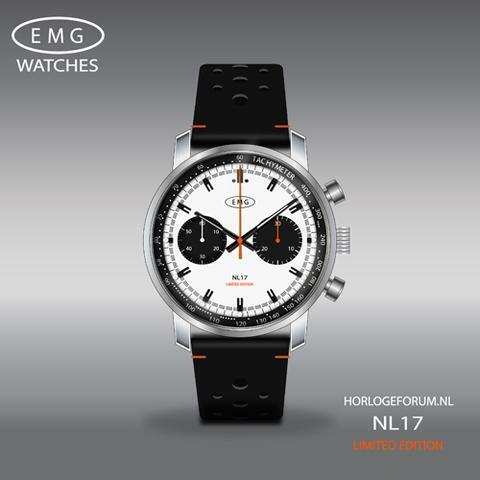 They also had a special run called NL17 which was produced in a limited quantity to a Dutch forum. 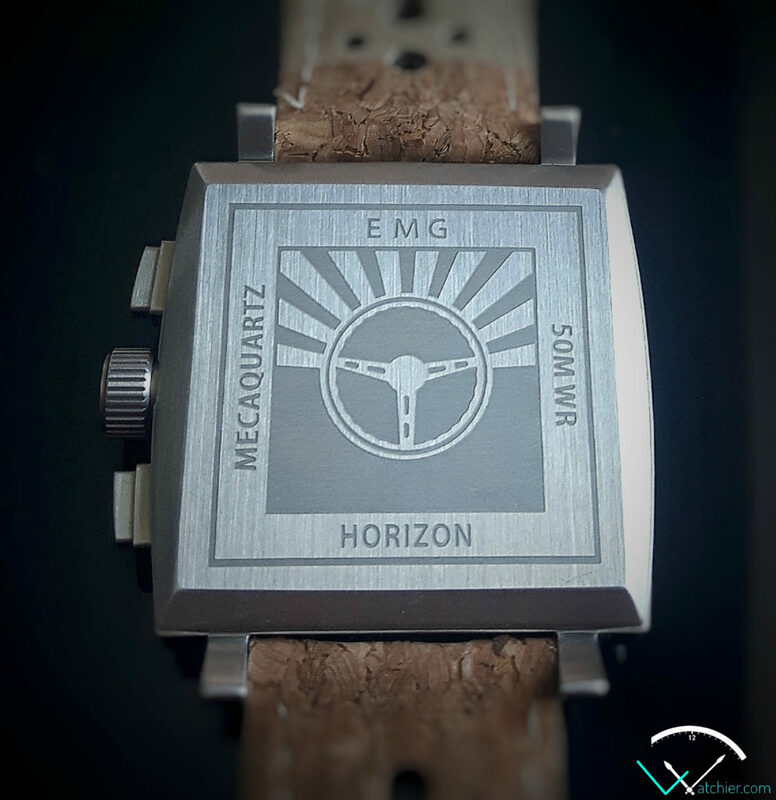 I was fortunate enough to get my hands on one of their new releases’ prototype, the Horizon; this will be produced at a new manufacturer who produces watches for some other top microbrands. 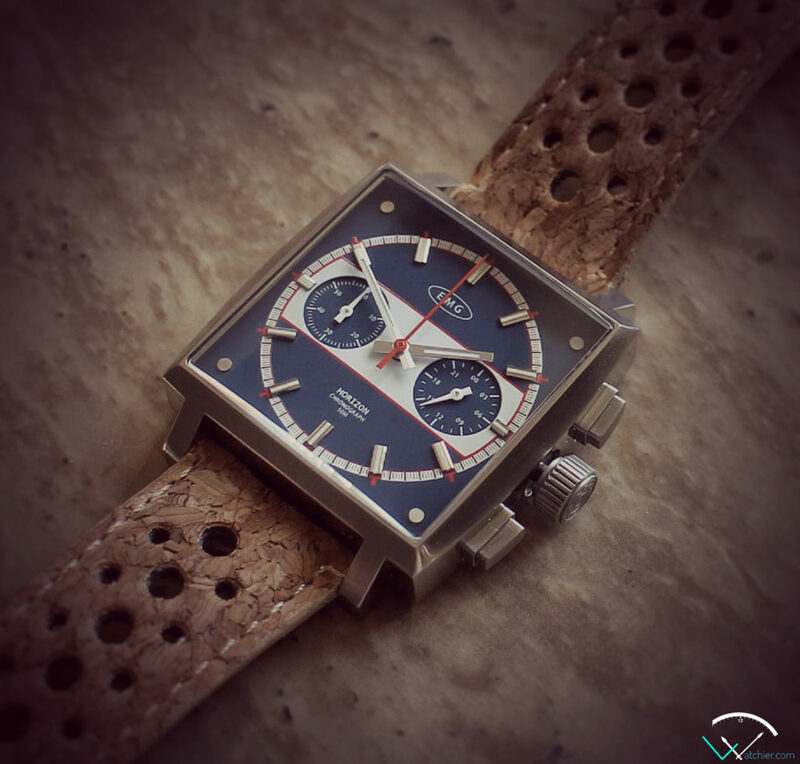 At a glance the Horizon seems like a homage to the famous Monaco; personally I’m not a big fan of square watches, but the Monaco, specially the blue one has a special place in my heart, and my friends know that I always have it as a long term grail. Now to the Horizon, the watch case is very nicely proportioned, hats off to the guys here; as square watches tend to wear extremely bigger than rounded cases; but this one at 38mm x 38mm with a total length of 46mm sits extremely well on the wirst, my wrist leans towards the smaller spectrum at 6.75″ and I didn’t have any problems pulling it off very easily; also the thin case profile, which is about 11mm helps a lot in the overall wearability. 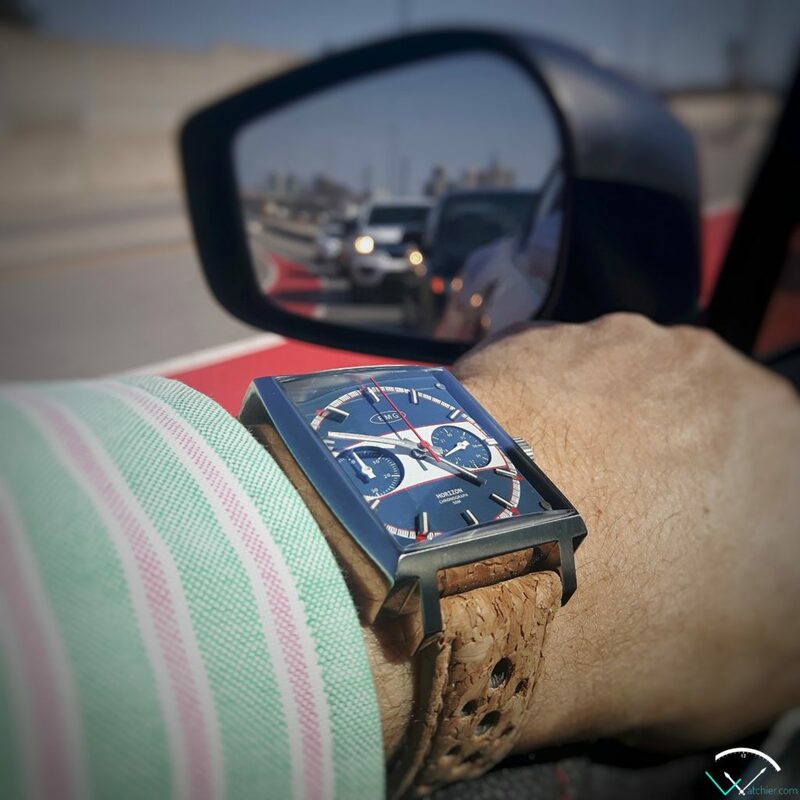 The watch is a classic chronograph powered by the amazing Seiko VK64 Meca-Quartz movement, which has no running seconds and a central chrono that sweeps very smoothly like a hi-beat automatic movement. 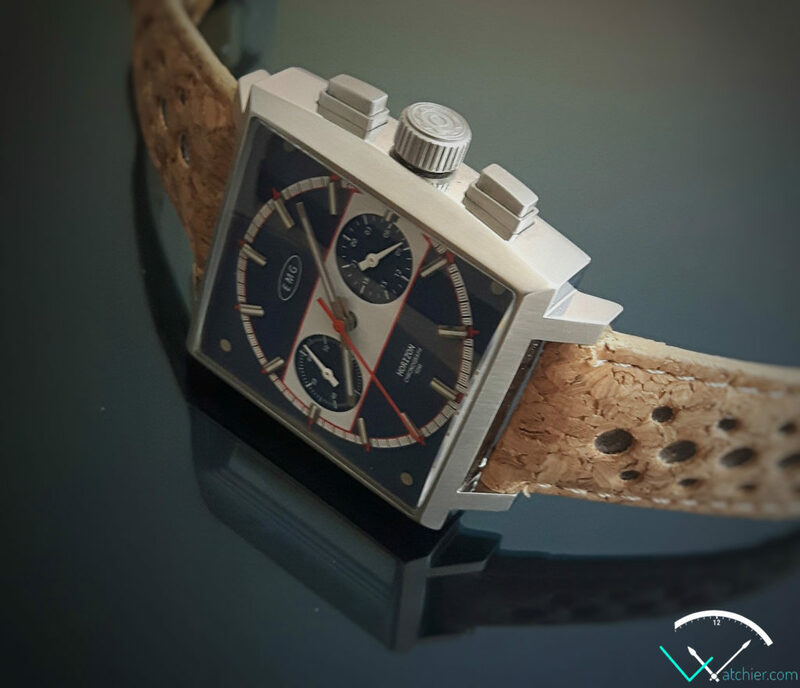 The dial has a unique shade of light blue, which I personally haven’t encountered before, but I really like it; printing is crisp and the subdials have the same shade of blue and recessed a little bit, which gives the dial a great depth. 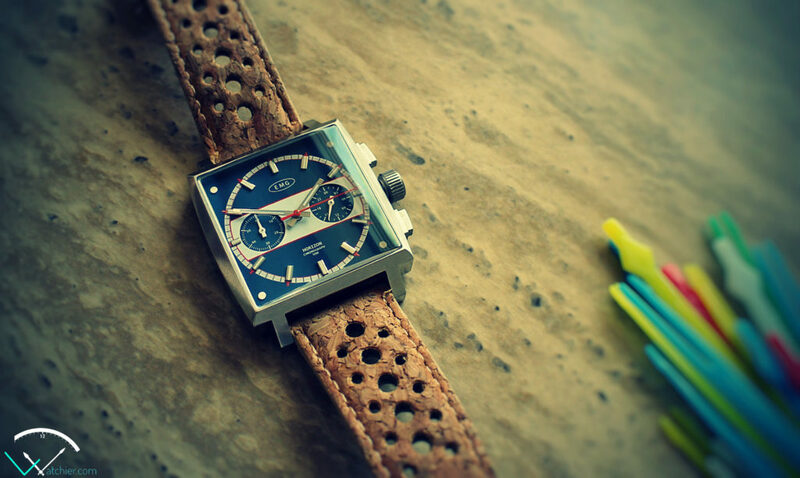 This watch is simply stunning! The crown is nicely engraved, and the chrono pushers are nicely done, not so firm, but have an assuring feeling when pressed. Also the crown doesn’t sit flush with the case, which I find a very nice touch as it can easily be grabbed to set time, while not compromising the WR which is 50M, much more than any chrono should go! 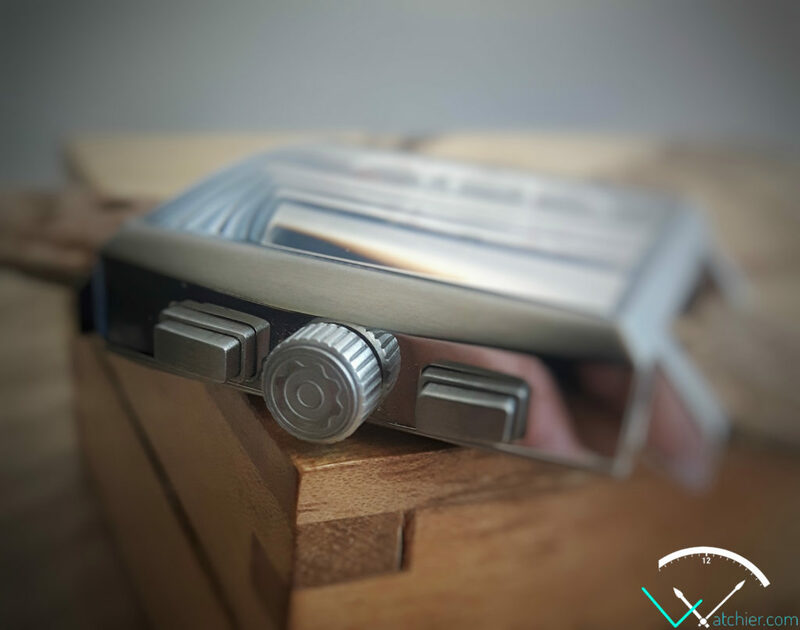 The case has a mixed finish, between brushed top and polished sides, which gives it a nice high-end feel. 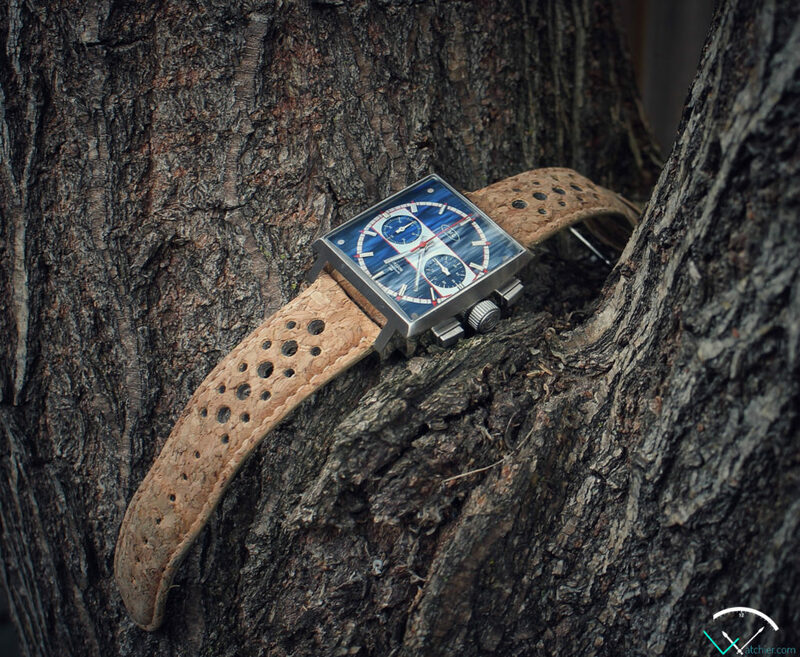 The caseback is engraved with a steering wheel drawing while mentioning the basic information, although it is a very nice design, but I would have preferred a deeper engraving, but let’s be honest here, who will ever see the caseback! The crystal is nicely curved sapphire, I haven’t seen a crystal like this before, but I didn’t hold a square watch before as well, so I’m not sure if this is a common feature or not, it is very clear, but because of the dome, there are some distortion when checking the watch from some angles, this didn’t bother me at all, on the contrary, I really like it! 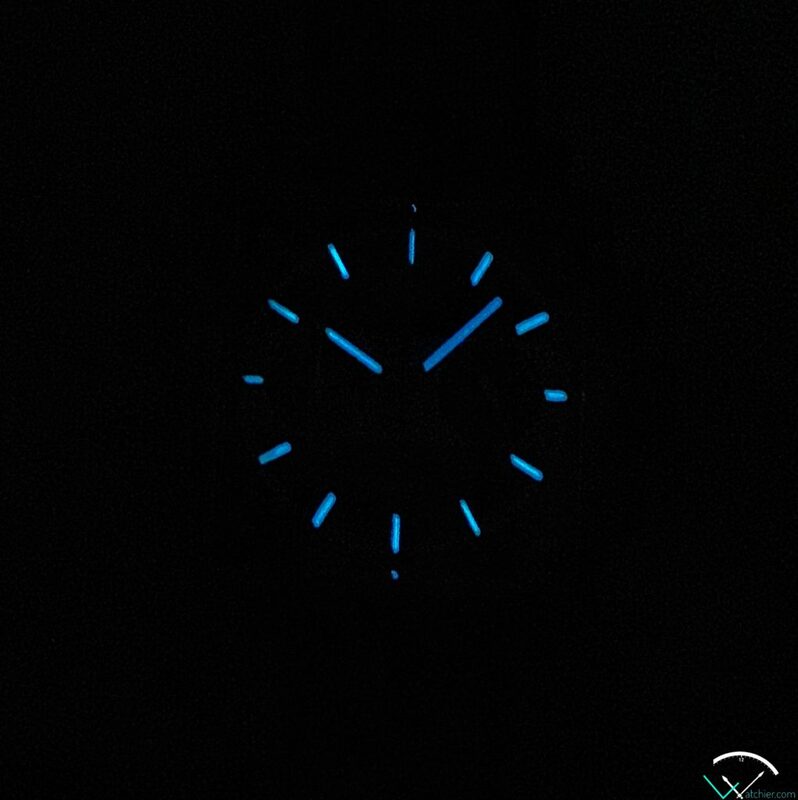 The watch is lumed with BGW9 Superluminova, I wasn’t expecting the lume to be good in particular, but in fact it is nicely and generously applied. Final thoughts, this is really a very nice watch, well proportioned, amazing dial with recessed subdials and nice applied lume. The Horizon will be launched on Kickstarter in mid-June, I highly recommend checking it out. 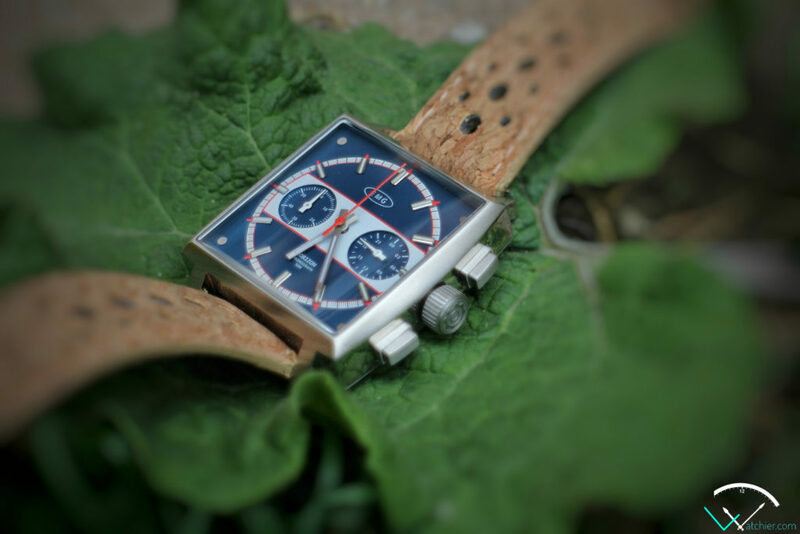 ← The Tropics Antilles, the true heritage diver by NTH..